Chickadvisor has a new Product Review Club offer for Rubbermaid FreshWorks Produce Saver containers! They're very easy to use: simply transfer the produce from their packaging into the container. No need to rinse, wash, or cut them -- how convenient! 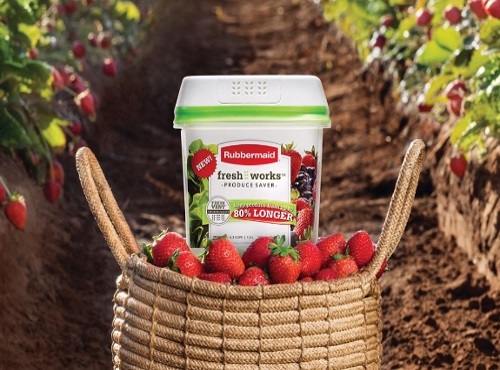 Interested in being one of 200 lucky Product Review Club members who will also try a Rubbermaid FreshWorks Produce Saver container? Click on the link below before June 4, 2017 to apply! Offer open to Canadian residents only. Selected members will be contacted by email the week of June 5, 2017. Not a Chickadvisor member yet? Sign up here.